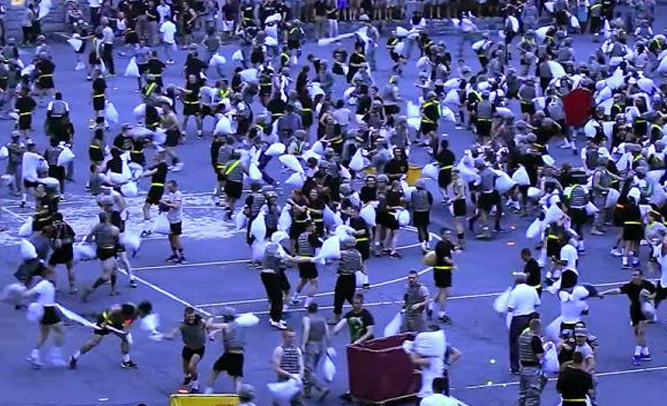 Over 30 West Point cadets were injured during a campus-wide pillow fight last week, leading most people throughout the country to worry that the US military may, in fact, be training a large group of pussies. West Point made an official comment on Monday, saying that they are definitely not “training groups of pussies” at their esteemed institution. West Point says that they will be further investigating the incident, and “dealing appropriately” with anyone they deem to be too pussified to continue their education at the school.